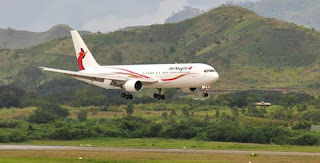 Air Niugini’s scheduled flight, PX 395 out of Denpasar airport in Bali, Indonesia early yesterday morning ( Tuesday 02nd August) was delayed due to slow approval of slot by Indonesian authorities. A slot is a set time when the runway is assigned for a flight to take off or land. Air Niugini applied for that a day prior to departure, however no approval was given by Indonesian authorities and the slot time lapsed. Hence, the airline applied again for a second and third time on Tuesday. By the time, approval was given the aircraft was not able to depart Denpasar due to volcanic ash clouds and poor visibility. Many Australian airlines also cancelled flights to and from Denpasar yesterday. PX 395 eventually departed Denpasar this morning (Wed 03rd August) and will arrive in Port Moresby after 2pm. Air Niugini regrets the inconvenience caused to our passengers, however safety is always of paramount importance in ANG’s operations.